Here is a link to the presser. It seems like not many people are excited about Harpers hire, but I for one am THRILLED. I think Pat would be excited as well. I know no one knows how she will do until she does it, but I think the Lady Vols will be back under Kellie's leadership. Holy snap, yes! So glad a TN Lady Vol came back home. Don't mess with Sparta girls. I thought she knocked it out of the park at the press conference today. Perfect delivery. I’m excited about the future for the Lady Vols. Please give Kellie a chance. I am all-in for Kellie and Jon, and am looking forward to seeing the sizes of the crowds at TBA go back up with excited anticipation of big things to come. 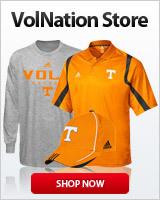 I sure hope UT promotes the heck out of the Lady Vols this year. I’d love to be there for a sellout at least one more time before I leave this life! Fulmer hired the RIGHT COACH and KJH will prove that she is EXACTLY what the Lady Vol program needs at this point. let's just ignore the pickle faces and negative nancys and believe that #9 is coming ! I’m behind it. Got to know Kellie a little bit about 15 years ago when she was at UTC, and she is an awesome person that genuinely cares about the LV. Excited to have her and to see how she progresses with the resources here to recruit with. I'll admit I was a bit underwhelmed with the hire. I was afraid that it was a case of having a candidate that checked the Pat box, checked the female box. But now I am 110% behind her and ready to rise back to the top! Positive, confident, poised, something missing for sometime now. I was impressed. beat it kid. mommy's coaching. Similar. I was neither underwhelmed nor overwhelmed with the hire. But, I really loved how she handled herself in that PC. She oozes strength and appears genuine. Although for a moment there she seemed to be in a "Why am I sitting here in this chair". It'll probably take a few days(weeks?) for the reality to sink in that she herself is actually leading this great program built by her mentor. Since college 20+ years ago, this place was where playing dreams were lived out. No more! Hell yes! Go get em coach! I saw a video during the NCAA tournament of Kellie talking to her Missouri State team in the locker room after one of their upsets. She was happy but did not act surprised. She told them great game but, "You know what? We are better than they are, we knew it before the game, now everybody knows it." She instilled confidence in those players. Looked familiar. Those days are over (thankfully). She did well. Phil looked like he either needed a nap or had something else on his mind. After watching, I am very excited and cannot wait to see the Lady Vols next year with Kellie coaching. It is going to be fun whatching her restore our team to its former greatness! He probably did. Ever think of what he’s been through the last three weeks? And he had always been very close to Holly; he did his job; doesn’t mean it wasn’t tough or what he wanted to have to do. So emotional, mental, physical stress all under a microscope and a time clock. Not fun. But his job, he took it, he had to do it. No kudos for doing his job, but a little grace for the difficulty.